Today while our economy continues to have its challenges, every small business needs to take advantage of every strategy they can use to get new customers, and keep their current customers happy. People are always going to spend less money on those things that they think are not as important for their lives, as they attempt to cut down on their spending. In this tight economy, it is even more important for a local business to focus like a laser on his ideal customer, and this is where local search engine optimization and social media marketing become vital in not only identifying new customers, but getting and keeping their attention so that they are attracted to your business as real buyers, and not just as tire kickers. For example, Facebook has developed a very unique way of identifying and targeting demographics in a very fine and detailed way. It is possible to identify any grouping of people and identify them as to how they shop, what they like and dislike, their income levels, their geographic characteristics, and many more meaningful items of note. You can find so much information about a target grouping of people that you can then target a group of people who are really looking for what you have to offer. As an example, let’s say you own a pet store, so you go onto Facebook and target dog lovers in your area, and begin to market to them right away on Facebook. You won’t know exactly who these new people are, but Facebook will find them out of their more than 2 billion members as you post an ad on your Facebook Fan Page, they will see your post. Perhaps you offer a special on their favorite dog food, so they start to check you out, and you are beginning to grow a brand new list of new people. Now you can market to that list, and is a very good way to work into a new market. Another method that many merchants are not doing too successfully yet, but you should. It is estimated that over 60% of all the local searches are not done on people’s home computer, but on their mobile devices, such as on their smart phones. The advantage here is that you will catch people who will find you while they are already out shopping, and they physically stop by in many cases simply because they are in the area. Google will also list all of the pet stores that they find in your area from Google Maps, although they will be in no particular order. The thing that you should do is to “claim” your listing with Google, which simply means that you should go ahead and complete all of the information that is asked for by Google about your business. Be sure and fill everything in, including pictures and good descriptions, and you will rank highly on the list, mainly because most of the rest of the businesses have not caught on to this yet. These little tricks of the trade will be surprisingly effective for you, and if you cannot set these areas up yourself, you should hire an expert to do this for you because you are walking away from more profits if you don’t. Any business owner knows that SEO is important on a local level, have used these tactics to promote local business online. 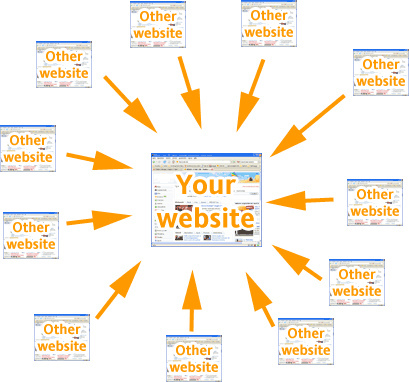 The local SEO was used to attract local customers to visit the business. However, if businesses are looking to grow and reach their products or services further. They will need to learn about how to reach out of their current service area. This is when national SEO will work and works on reaching many more people. This helps businesses to increase their chances of attracting more sales or business. Many big brands and chains all began as a small business located in one town. However, they all became successful due to the right marketing tactics which helped them to grow to the size they are today. National SEO can form part of an effective promotion and marketing tactic for any business to grow successfully. One if the many advantages of National SEO includes expanding business to more regions. This is helpful for businesses that are looking to relocate or to open additional “brick and mortar” locations. They can test the area out by using National SEO before deciding to invest in another area. The other advantage is to attract customers in that specific area before the business is even opened. These customers will usually be more open to buying from these businesses as they located them online first. A good way to begin any SEO campaign would be to start locally as this is a far easier way to rank for types of specific keywords instead of using generic ones. Once the business begins to become visible on a local level, they can proceed onto National SEO using broader keywords. The advantage lies in having an authority on a local level, which makes it simpler to draw attention from the search engines when moving onto National SEO. In addition National SEO can be used for businesses that are looking to sell. The potential buyers are more likely to invest in a business that poses a national potential. National potential businesses usually attract higher prices. It is always best to use the most effective marketing strategies available to ensure the business continues to experience traffic to their websites. National SEO is a type of marketing strategy that can help businesses to gain authority in their specific industries. Ensuring new ways of marketing a business are implemented regularly, can relate to a successful business that is well known online.